All of these wayward mittens made me wonder about the people who'd dropped them. What was happening the moment they accidentally set their mittens free? My sister, Alison Barber started a program called Mittens for Kittens at the wonderful Stirling-Rawdon Public Library, when she worked as their children's librarian. Mittens for Kittens, collects donations of mittens and distributes them to those in need of warm fingers. Have an inspired weekend, kittens. See you back here on Monday for a new story. And the fabulous Jaye Bannon has continued the program. If you have extra woolly wear come November, be sure to visit her at the library! Yes, Aly began a wonderful thing, and Jaye has continued it, years later, and it keeps growing. 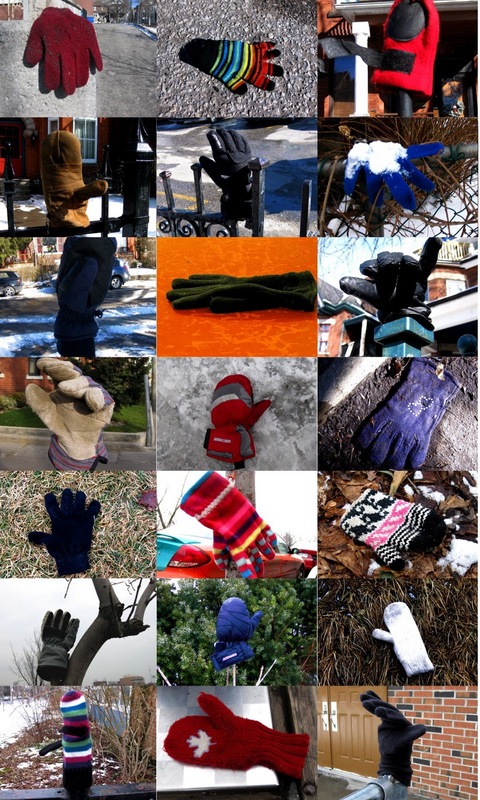 Every year, we collect more and more mittens for the Mitten Drive! Much thanks to both of them!